It’s Day 28 and I’ve got to be honest with you. I’ve started packing up my house and so fitting in painting has been difficult. BUT, I’m not giving up. It’s not an option! 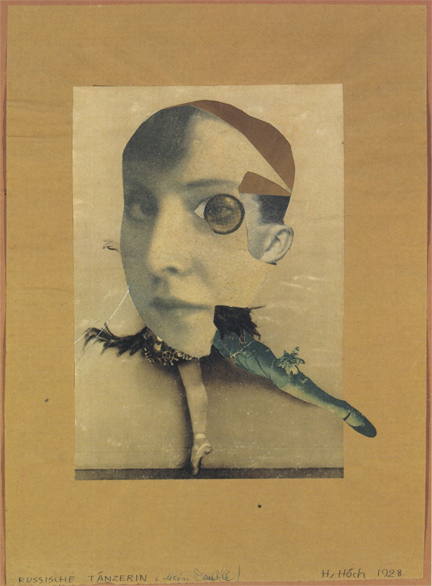 🙂 I was excited to see that Hannah Höch was today’s artist. 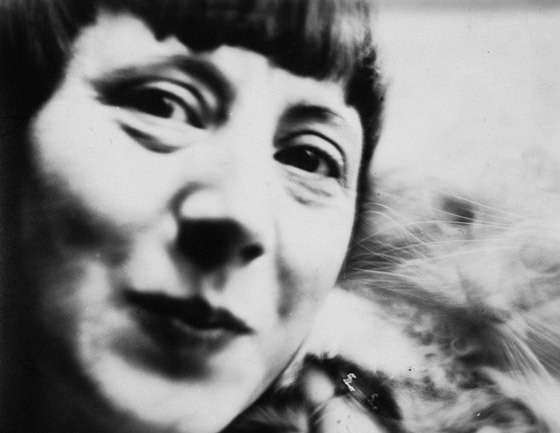 Hannah Höch (November 1, 1889 – May 31, 1978) was a German Dada artist. 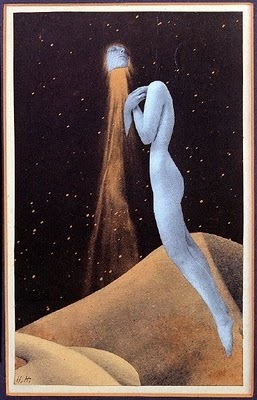 She is best known for her work of the Weimar period, when she was one of the originators of photomontage. 1914 she studied at the College of Arts and Crafts in Berlin under the guidance of Harold Bergen. She chose the curriculum glass design and graphic arts, rather than fine arts, to please her father. In 1914, at the start of World War I, she left the school to work with the Red Cross. In 1915 she returned to school, entering the graphics class of the National Institute of the Museum of Arts and Crafts. 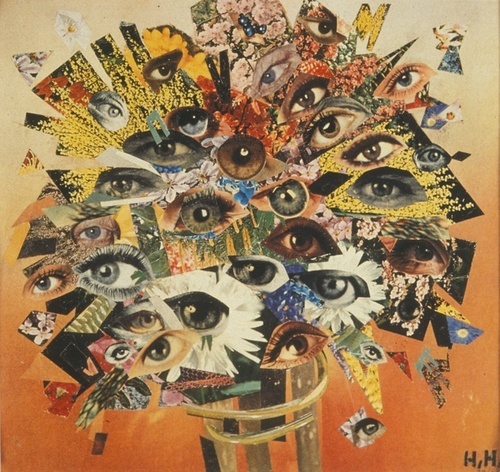 Also in 1915, Höch began an influential friendship with Raoul Hausmann, a member of the Berlin Dada movement. 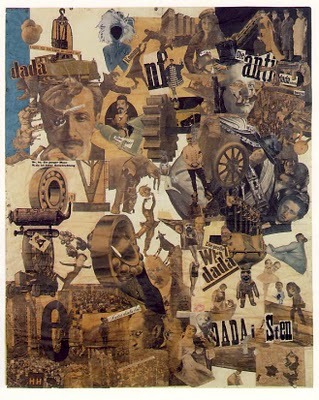 Höch’s involvement with the Berlin Dadaists began in earnest in 1919. After her schooling, she worked in the handicrafts department for Ullstein Verlag (The Ullstein Press), designing dress and embroidery patterns for Die Dame (The Lady) and Die Praktische Berlinerin (The Practical Berlin Woman). The influence of this early work and training can be seen in her later work involving references to dress patterns and textiles. From 1926 to 1929 she lived and worked in the Netherlands. Höch made many influential friendships over the years, with Kurt Schwitters and Piet Mondrian among others. 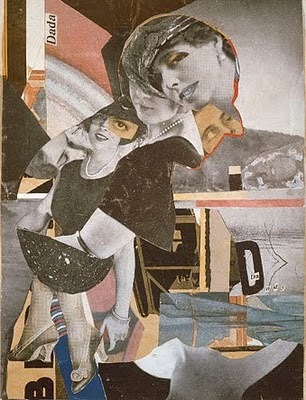 Höch, along with Hausmann, was one of the first pioneers of the art form that would come to be known as photomontage. After her involvement with Hausmann ended in 1922, she was involved with women and had a relationship from 1926 to 1929 with the Dutch writer and linguist Til Brugman. She supported reproductive rights for women; she had two abortions during her involvement with Hausmann. include a woman among their ranks. 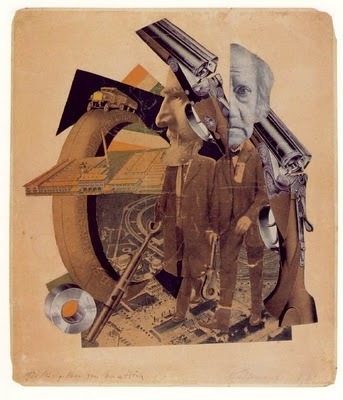 Hans Richterdescribed Höch’s contribution to the Dada movement as the “sandwiches, beer and coffee she managed somehow to conjure up despite the shortage of money.” Raoul Hausmann even suggested that Höch get a job to support him financially. Höch was the lone woman among the Berlin Dada group, although Sophie Täuber, Beatrice Wood, and Baroness Else von Freytag-Loringhoven were also important, if overlooked, Dada figures. 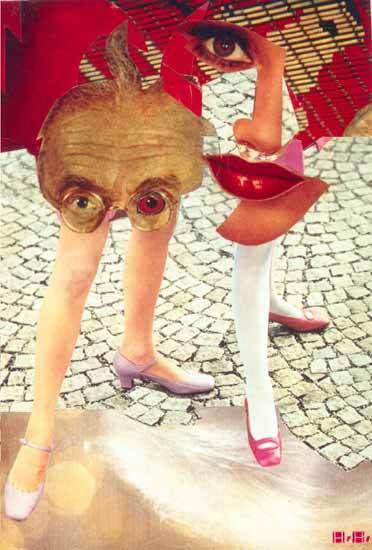 Höch references the hypocrisy of the Berlin Dada group and German society as a whole in her photomontage, Da-Dandy. commonly combine male and female traits into one unified being. During the era of the Weimar Republic, “mannish women were both celebrated and castigated for breaking down traditional gender roles.” Her androgynous characters may also have been related to her bisexuality and attraction to masculinity in women (that is, attraction to the female form paired with stereotypically masculine characteristics). in Berlin-Heiligensee, a remote area in the outskirts of Berlin, hiding in a small garden house. She married businessman and pianist Kurt Matthies in 1938 and divorced him in 1944.Though her work was not acclaimed after the war as it had been before the rise of the Third Reich, she continued to produce her photomontages and exhibit them internationally until her death in 1978, in Berlin. Her house and garden can be visited at the annual Day of the Memorial (Tag des offenen Denkmals). Read more of her biography here at wikipedia. 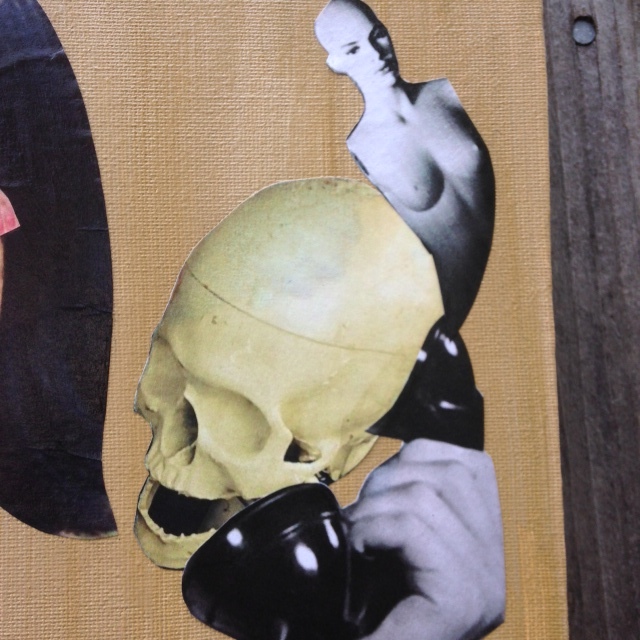 think that doing a photomontage/Dadaist collage would be easy, but it wasn’t. I spent a good amount of time sifting through photographs on the computer and trying to visualize cutting them apart and putting them together in the right way. It was also pretty difficult to paste everything down gracefully. I felt like a little kid using glue for the first time. I also printed the photos out with an ink-jet printer onto regular paper so I had to be careful the ink didn’t bleed because of the glue and mod-podge. 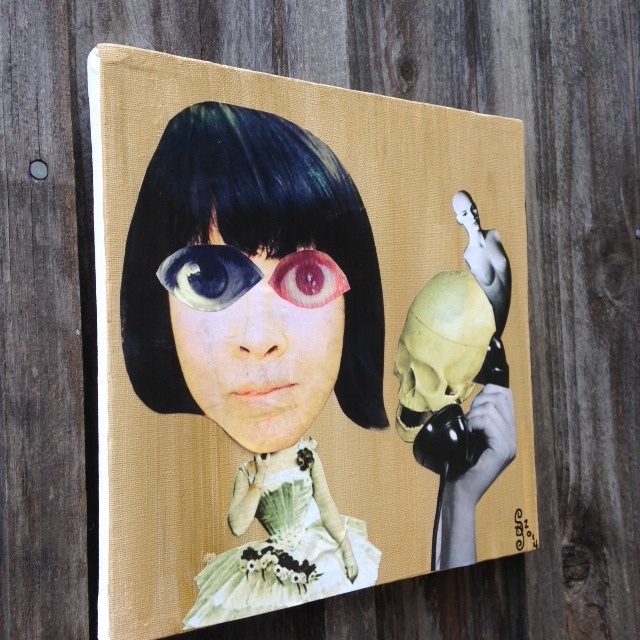 I primed the photos with enamel before glossing it over one last time. My hands were sticky and pretty gross after. I decided to keep this one simple and of course I wanted to do a self-portrait. 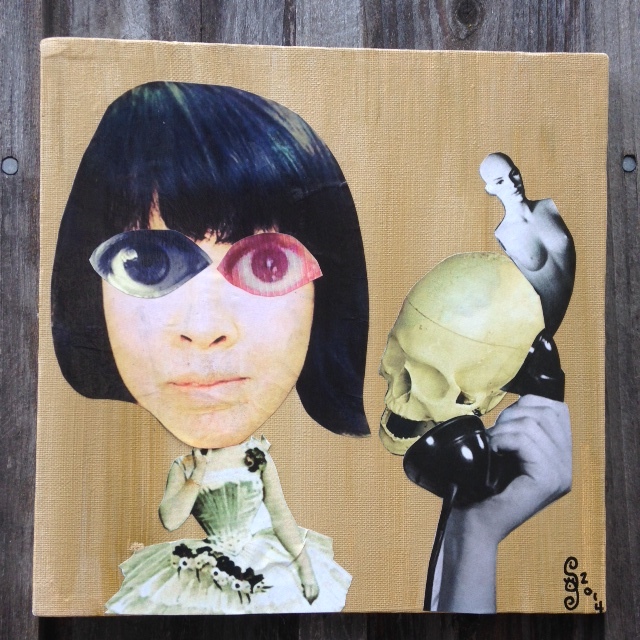 I used her self-portrait for inspiration. Please enjoy the first of the Dadaists tributes that I’ve created. 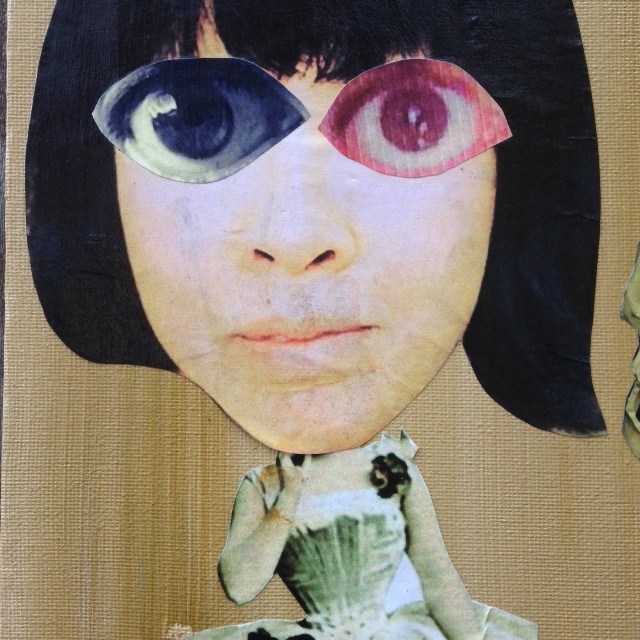 I can’t wait for the next Dada/photomontage/collage artist I get to. I will make sure to do something more involved. For now I’m just satisfied, but not exactly excited about how it turned out. I’m giving myself an emotional break and not beating myself up too much because this next month is going to be insane! See you tomorrow on Day 29! The month is almost over even though it feels like it just started! Rebecca Thvedt on Painting again!